IKEA Taiwan trip to Rwanda Written by Marie Shabaya. One Acre Fund works with smallholder famers across East and Southern Africa to help them afford a better life. We’re happy to welcome the IWitness team to Rwanda to learn about the work we’re doing in partnership with the IKEA Foundation, through the Better World Starts at Home campaign. It’s the first of two IWitness trips we’re hosting this year. The areas in rural Kenya, Uganda, and Rwanda, where we work, are quite remote. Many of our clients, smallholder farmers, are cut off from national power grids giving them little choice but to depend on costly and polluting fuel sources like wood and kerosene. Since 2006, we’ve been delivering crucial farm inputs, such as a seed and fertiliser, on credit to farmers across East and Southern Africa, so they can increase their harvest yields and incomes. Starting with a group of 38 farmers in western Kenya, we now serve 800,000 clients across six countries on the continent. Eight years ago, we began offering solar energy products, manufactured by Greenlight Planet, as an optional add-on to our core bundle of seed and fertiliser. Solar lamps have proven quite popular with our clients because they are cheaper and more efficient than traditional lighting alternatives. Support from the IKEA Foundation will allow us to serve an additional 290,000 farming families in East Africa by 2020, increasing farm yields and incomes, and expanding access to these solar products. We can already see their impact in the lives of the farmers who work with us. In Ryaruhanga, western Rwanda, Marie, who was our first client in the village, finds that her family is happier and healthier since she bought her solar lamp. “It makes me happy that we no longer have to use a kerosene lamp. Its vapours, combined with the fumes from the cooking stove, polluted the house air,” she says. Solar lights have made evenings more productive for our clients and their families. 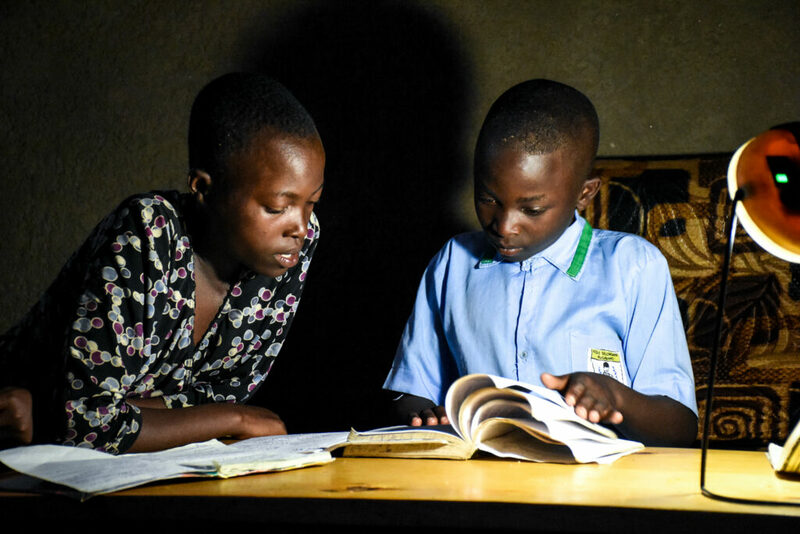 The lamps helped Vital make every minute count when he was studying for his national exams in eastern Rwanda. The teenager often had to make the difficult compromise of staying at school late or returning home after dark so he could do his revision. The time between dusk, when his classes ended, and when darkness fell was too short for him to review all his lessons, and he was struggling at school. 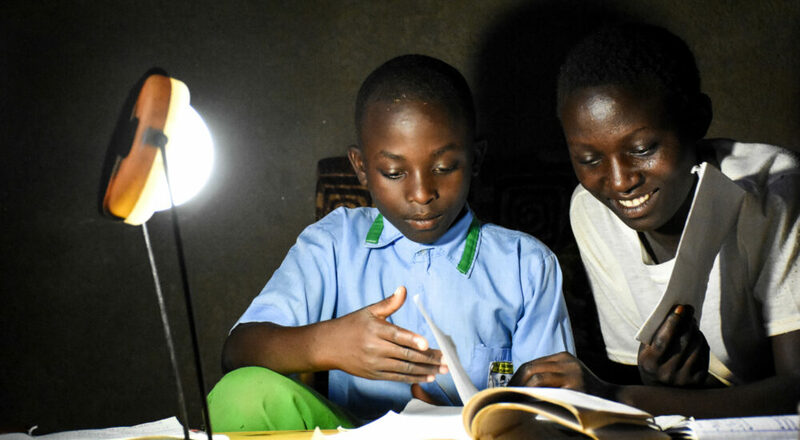 When his mother bought their solar lamp, the evenings suddenly became longer, and he was able to study enough to qualify for a mechanical engineering course at university. “I felt happy with the results, and I am so proud. I wouldn’t have gotten this higher score if I hadn’t had a chance to review my lessons at night,” Vital says. Solar lighting has also provided am extra layer of comfort and security for families during the dark. Emmanuel from Rwanda’s Munini district, who has been with us since 2010, says that the lamps have helped his family of seven sleep better at night. “We are no longer in the darkness and we are no longer afraid of anything that could happen at night,” he says. The new lights have also helped his neighbours. “My wife can safely go to assist them in case they need help at night,” adds Emmanuel. We’re excited to introduce the IWitness team to people like Marie, Vital and Emmanuel, who we serve in Rwanda. They are proof that even a small intervention, like a solar lamp, can make the evenings, and the future, much brighter for the communities around them. Marie Shabaya is the Lead Writer and Editor at One Acre Fund, a social enterprise that works to make small-scale farmers in East and Southern Africa more prosperous. Born in Kenya, she has lived a peripatetic life across several continents. A journalist by training, she received her degree from the Columbia Graduate School of Journalism. Her family is from Kakamega, Kenya, where One Acre Fund began.